Kyle Petersen started playing piano at age 4. He went on to study piano, voice and keyboard. 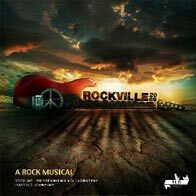 Between the ages of 9 and 16 he appeared in 9 rock musicals and operas at Artscape with principal roles in two of them. Kyle has performed in more than 40 theatre shows and musicals. At the age of 21 he graduated to musical director for these productions and has subsequently directed for Sun International, IMAX, CTICC, Emperors Palace as well as The Queen Experience to name but a few. He is also a solo performing artist with his debut album, Project One, recently internationally released. 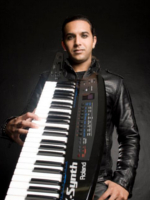 He has appeared on TV shows such as Expresso and Hectic 9 as well as playing every major music festival in the country. 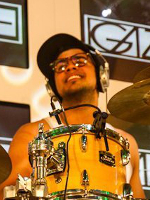 Darren Petersen is a percussionist and drummer, who resides in Cape Town. He has performed professionally for the last five years as a drummer & percussionist for various theatre productions, Tribute shows and corporate functions. Artists he has performed with include Loyiso Bala, Zwai Bala, Kurt Darren, Nianell, Kabelo, Chad Saaiman and The James Frank Band. Darren has also been also been teaching the young and old to play percussion and drums. 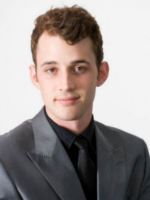 Charles has a Performers Diploma in Classical Music (PDM) from UCT. His career is multi faceted and comprises of teaching, performing, writing, arranging as well as being a session and recording artist. He has taught at some of the top schools in Cape Town including Bishops High, Herscel High, Reddam High, St Josephs as well as Silvermine Music Academy. He has performed with countless musicians and bands, but his main original band Sabretooth and a corporate function and wedding band Almost Famous Band being among his longest memberships. Charles has appeared on various albums, in which he credited with electric guitar, acoustic guitar, direction, bass guitar and backing vocal duties. He can be found on albums from Sabretooth, Claudia Mohr, Half Price, Crossfire Collision to name a few. He has played all over Cape Town and other cities in SA as well as selected overseas countries. Playing for countless top corporate clients, weddings, production shows and the general public he has played to well known public figures and well respected musicians that include: Kyle Peterson, Sean Nunan, Sonja Hereld, James Porter, Cofield Mundi, Natalie Chapman, Jason Guile, Ben Badenhorst, JOno Dose, Chad Saaiman, Kevin Gibson, Richard Pryor and Rob Stemmett to name a few. 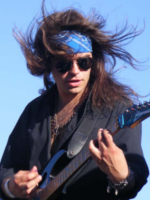 With his wide genre experience he is versed in many different styles of music he has played in bands/ensembles ranging from heavy metal, blues, turkish folk, rock, funk to classical music and back again. Charles is proudly sponsored by Laney Amplification, Ernie Ball Strings and Guitars and Paul Bothner Music. Nicholas Syngen Williams was born on April 13th 1986 in Cape Town, South Africa. 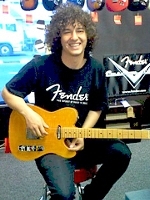 His interest in music began at and early age playing guitar and messing around at the piano. He began to take the piano seriously at the age of 18 and when he was 19 started taking jazz piano lessons with pianist and educator George Werner with whom he was introduced to his first attempt at real piano playing. 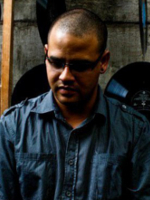 Nicholas has been fortunate enough to work with many of the great musicians on the Cape Town scene. He has worked with Alvin Dyers, Errol Dyers, Vicky Sampson, Mark Fransman, Buddy Wells, Cape Town Jazz Orchestra, The Collective Imagination, Mantras for Modern Man Rus Nerwich Quartet, Darren English, The Collective Imagination, Charles Lazar, Mike Rossi, Emily Bruce, Melanie Scholtz, Spencer Mbadu, Kevin Gibson, Frank Paco, Kesivaan Naidoo and the lights, Basil Moses and Soul Agents. He has performed nationally in East London, Port Elizabeth and Johannesburg and internationally in Czech Republic, Italy, Slovakia and Belgium. He has performed at the Cape Town International Jazz festival on two separate occasions, once in 2010 with the Cape Town Jazz Orchestra and again in 2011 with Alvin Dyers and Mozambican saxophonist Orlando Veronique. 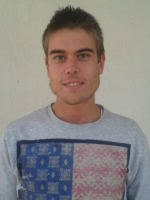 I am 21 years of age and originally from Kimberley in the Northern Cape! I have been playing guitar for about 8 years now and I am loving it. I studied Contemporary Music at COPA, Campus of Performing Arts and I am currently also working for Paul Bothner Music at the N1 branch. I have played at the Cape Town Jazz festival, Grand West (ABBA tribute show) and at the Wellington Wine Harvest to name a few. I am currently the guitarist for Kyle Petersen, Matthew Gold, Mike McCullagh and I have a couple more musical alleys that I venture in. I have been playing guitar for about 11 years now. I passed my Trinity Rock School Grade 8 with 88% and also passed Trinity Classical Guitar Grade 8. I currently have a BMUS Jazz Education Degree (PGCE), with disctinctions in Jazz Guitar and Jazz Improvisation from University of Cape Town (graduated in 2012). Important gigs I have done (as a session guitarist) include, Annual World Aids Day Gala Concert, Skouspel, and Heineken Symphonic Rocks. I have also played guitar and toured with some musical theatre productions: Dirty Dancing, Grease, Jesus Christ Superstar. Artists I have backed/done work for include: Karen Zoid, Nianell, Loyiso Bala, Arno Carstens, Elvis Blue, Brandon October, among others. 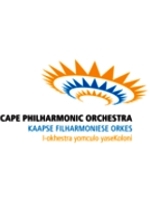 The Cape Philharmonic Orchestra in Cape Town is arguably the most versatile and active orchestra on the continent of Africa, contributing handsomely to Cape Town’s global status and appeal. Founded in 1914 as the Cape Town Municipal Orchestra, the CPO is financially and culturally sustainable, attracting some of the leading international artists of their time. A multi-functional orchestra, the CPO delivers a world-class orchestra service to all communities in the region, participating in festivals and concerts across all genres of music. Apart from regular symphony concerts presented in the historical century-old Cape Town City Hall, the CPO also performs with Cape Town Opera and Cape Town City Ballet, adding up to some 140 performances per year. It has several award-winning recordings for various European labels to its name, and recently returned from a highly successful concert tour of the United States of America. The orchestra runs a vast outreach and community programme that includes two youth orchestras and grassroots training projects in various townships around Cape Town. Many of the young musicians it trains are beginning to take their place on the concert hall stage.